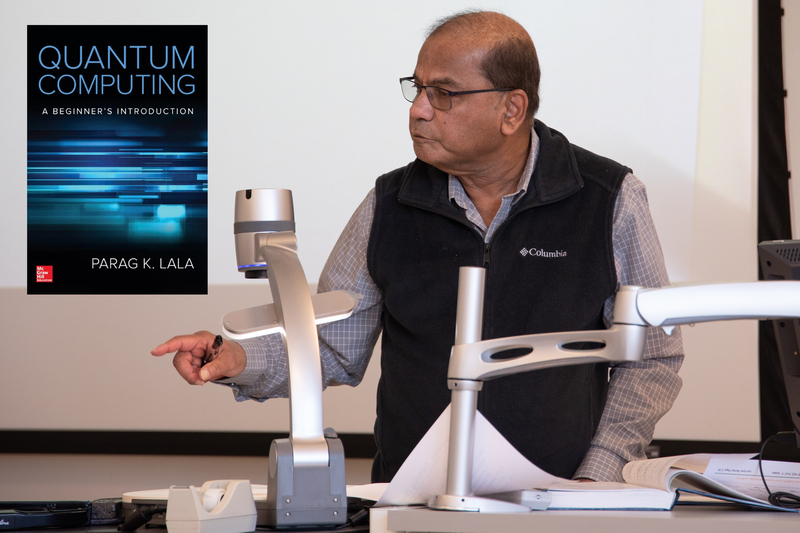 Texas A&M University-Texarkana Professor of Electrical Engineering Dr. Parag Lala has recently published a text on the emerging science of quantum computing. His new book, Quantum Computing: A Beginner’s Introduction, is designed to be used as a textbook for entry-level quantum computing classes. Still in its infancy, quantum computing uses quantum bits, which may be in superpositions or states, rather than the two states (0 and 1) of bits in a binary computer. Dr. Lala has been a faculty member at A&M-Texarkana since 2006, and previously taught at Syracuse, North Carolina Agricultural and Technical State University, University of South Florida- Tampa, The University of Arkansas at Fayetteville, and The University of Arkansas System. This is his 8th text. He published his first book, Fault Tolerant and Fault Testable Hardware Design in 1985. His texts have been translated into multiple languages and used at colleges and universities around the world.